This entry was posted in Bucket List, Playing & Sports and tagged bitchin' ol' boomer babe, Bitchin' Ole Boomer Babe., BOBB, boomer, live life, serenade, Shinazy, sierra, story, storytelling, tell me a story, Will Jones. Bookmark the permalink. Reading your delightful Sierra Serenade story gave me a wonderful perspective and special uplifting vicarious experience. Thanks. I was there with you Will. I could feel the quiet. As a past backpacker and present hiker, I recently hiked Desolation Wilderness for the first time. The air, the quiet and vastness of the majestic landscape is memorable. However, nothing bets being as high as you were and seeing the night sky. 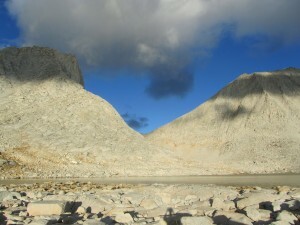 Hope to hike Desolation one of these summers. Back in Bishop for day hikes with my wife this week. Little Lakes Valley today!